The 6'9" 250 Cook is an absolute beast and in last year's loss to Nebraska put up 24 pts and 10 rebounds at the PBA. With Luka Garza questionable to play and a majority of their post players out for the year Cook tends to play less aggressively in the first half or if he's anywhere close to being in foul trouble. Cook is typically good at playing without picking up fouls and is also an excellent passer out of the post. He's not a 3pt threat. Garza is the starting center on the team but has been out for the last 3 games due to an ankle injury. When healthy he's one of the most aggressive scorers for Iowa and is capable of making 3s. It's a big deal if he can't play against a Nebraska team that can be hurt by traditional centers. Iowa has one of the taller rosters in Div 1 as Bohannon is the only player under 6'5"
PG Bohannon has struggled with his 3pt shot this year and at points is a defensive liability. He's platooning with the coach's son Connor who really doesn't shoot 3s but draws a lot of fouls with his 6'5" length. Moss is capable of shouldering a decent amount of the scoring load. His backup Maishe Dailey has struggle to score this year. Wieskamp is one of the most efficient scorers from anywhere on the court and Palmer will have his hands full keeping track of him. Miles touched on shoring up the defensive rebounding which statistically is the most glaring deficiency on this team. He also talked about the team being angry which is a plus if they're still angry on Sunday. 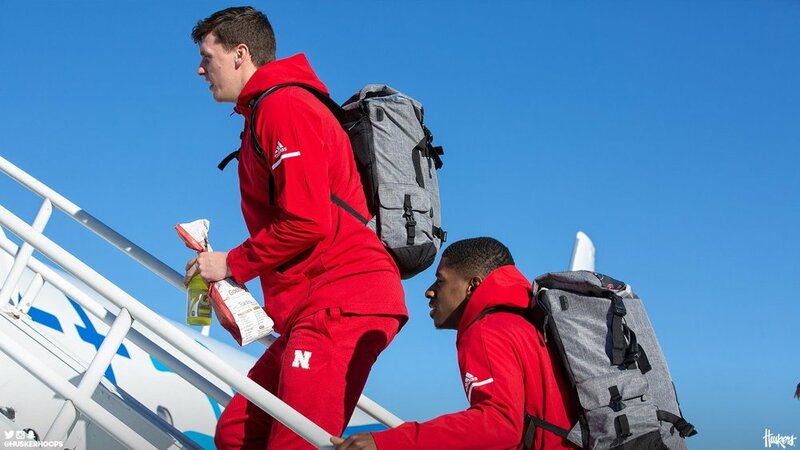 The Skinny: After Iowa was absolutely rolled by Purdue, the Huskers find themselves favored heading into Iowa City in a game where both teams will be highly motivated to win. 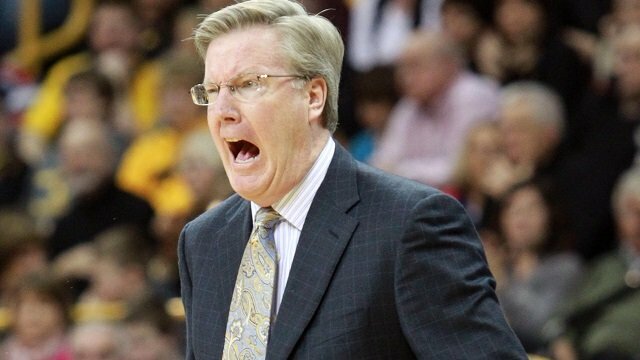 As tempting as it is to look at the lopsided loses vs Michigan St and Purdue and chalk this game up as a win, this Iowa team will play better at home like they've shown in a win vs Iowa St.
Like most McCaffery teams, this Iowa team doesn't foul a lot. Unlike most Iowa teams, this one currently leads Div 1 in FTA/FGA and thus a lot of their points are coming at the FT line. Nebraska has done a good job at not fouling this year but whomever is guarding Cook will be especially vulnerable. Iowa's rebounding ability is also a concern as teams have been abusing the Huskers on the offensive boards all year. Look for Nebraska to keep more bodies back to rebound at points against an Iowa defense that will break down in the half court. Speaking of slowing down you'll see Iowa throw a lot of zone at Nebraska including a 1-2-2 after made buckets. 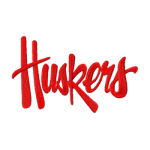 Nebraska has responded well after each of their losses with blowout wins at home so expect Nebraska to be highly motivated today. Is Garza going to play? His size and skill set are a difference maker. Look for Nebraska to bounce back in a close one. Any news on Garza? Him being out would go a long ways to securing a win. Not saying this is a must win but starting 1-3 in conference with @Indiana and Mich St upcoming would be not good. Huskers are favored. Time to TCB. Game time decision. While I’m in the same boat, a loss today for either team will make it so much harder to make the dance. Big 10 is a bear, but you have to win. Time to get it done. I feel pretty good about this team making the dance. Barring some major collapse the computers really like us. But these games are alos important for seeding. Would be really nice to stay in the 4-6 seed range. I think Iowa needs this game more than we do. I expect their crowd and team will be up for this one so we can't let them start off by making threes and getting an early lead. This seems like a road game which we should win and would be a very deflating loss in terms of our expectations. Are they still on student break, or are the students back? Would you say, even, that they're desperate for a win? The loser of today's game is either going to find themselves in a 1-3 or 0-4 hole in the Big 10 conference. That is rough. I would really like to win this game and have it springboard into a winning streak. Last season we only had one losing streak, and that was cut short at a 2-game losing streak. I'm hoping we can continue to keep it that way this season. I apologize for being so prescient. I knew things were going to go south as soon as that big Iowa nonentity, Kreiner, swished his first three pointer. In retrospect, one should go with his gut, not his brain in making choices. I should have learned this on the Bachelor over the years.